The most recent trend – which, until now, has only been recognized through anecdotal evidence and media reports – is the use of common social media and encrypted messaging apps, such as Instagram, Snapchat, WhatsApp, and Wickr, to supply and access illicit drugs. Our latest research provides the first exploration of this new market, analyzing people’s motivations, methods, experiences and perceptions in relation to buying illicit drugs via apps. We found that, for our participants, apps offer an intermediary option between street-level and online drugs markets, as they offer a quick, convenient and “secure” method for buying illicit drugs – especially since many of these apps are already installed on their phones. 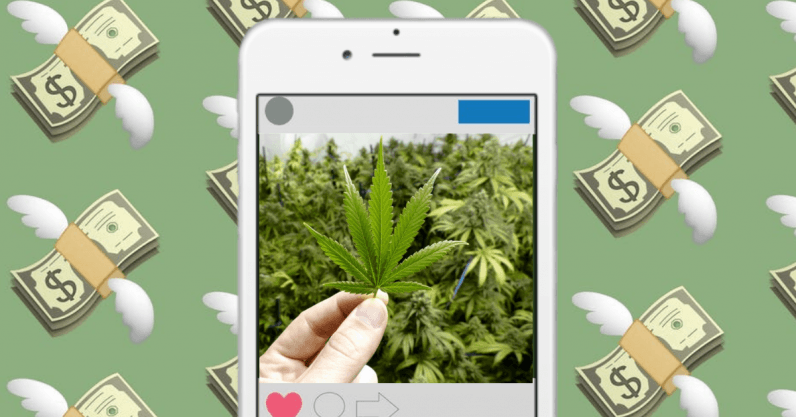 Snapchat, Instagram, Wickr, and Kik were the preferred apps, while cannabis, LSD and ecstasy were the most common drugs purchased. The security of encrypted messaging has been called into question in the UK and abroad, as new laws require companies to proactively assist law enforcement agencies in collecting information. Although our participants felt comfortable with the security provided by apps, and did not believe that they would be personally targeted by law enforcement, it is not yet apparent whether these new measures will have an impact on the popularity of these new forms of drug supply. Apps have changed the drug supply landscape by providing a route to an illicit drugs market that is easy to access, and giving drug users with a means of connecting directly with commercial drug suppliers and substances that may otherwise remain elusive. The vast majority of participants in our research who had used apps to buy drugs were 18 years old, so the potential for apps to trigger a “supply gateway effect” – whereby the search for one substance leads to others on the new platform – warrants further investigation. As app-based drug markets continue to grow, experts and health professionals must work to demystify common assumptions that apps are “secure” and that being able to “see” the drug promotes safer purchasing practices – this could change the behaviour of prospective users and help protect them from danger. And with increasing law enforcement crackdowns likely, leaders need to provide a balanced approach which prioritizes reducing harm. This article is republished from The Conversation by Andrew Childs, Doctoral Candidate, Griffith University; Leah Moyle, Lecturer in Criminology, Royal Holloway; Monica Barratt, NHMRC Post-Doc Research Fellow, National Drug and Alcohol Research Centre, UNSW, and Ross Coomber, Professor of Criminology and Sociology, University of Liverpool under a Creative Commons license. Read the original article.